The field of food industry never stops from growing. Food, being one of the most important needs of human individuals, has taken a greater effect on the growth of the human society at present. Today, not only is food seen as an important part of healthcare needs, but also that of the basic foundation of social linkages. Many occasions that human individuals engage in at present end up in sharing food. Special instances such as celebrations certainly mandate the need to prepare special food presentations that would fit the theme of the occasion and the audiences or the people to be fed. This is the reason why the growth of specialized food preparation business organizations continues to gain instant attention in the field of food industry. Catering services is one among the many well known systems of food preparation operations in this particular industry. For the documentation that follows, a presentation on how SERVIZO, a catering company from Connecticut, shall be introduced in an aim of providing guidance to its administrators with regards the proper impact that the business itself could make in the industry of food preparation services. This presentation shall make a huge indication on the development of the business concerned herein. Danny Jones and Frank Thompson came together to create a food servicing organization that is ready to provide food preparation assistance to individuals wanting to hold particular organized celebrations that are intended to create fun times for the whole family or the whole organization concerned in the said occasions. To make the business operations more defined and well organized, the partners decided to share responsibilities instigating a more fixed process of handling the catering services that they are engaging in. To do this, Danny stands as the front liner dealing with the clients and closing business deals; while Frank remains as the kitchen commander or the backdoor manager which means he is the one handling the cooking operations. He is usually in command when the actual catering procedure is underway. The institution of this particular process within the operations of the business is intended to create a more arranged process of dealing with the responsibilities that both partners are supposed to consider as they take part in the business. Practically, for some time, this process has been working well for them, giving them the chance to handle occasional celebrations that usually hold at least 1,500 to 2,000 people to be fed. However, as the industry competition heightens, SERVIZO is also seen to have a greater chance of dealing with the competitive stance of the industry through becoming well endowed with the procedures of new technology that could directly benefit the business needs of the company. In the documentation that follows, the procedures that could be taken by Frank and Danny to make the company practically competitive with others in the industry shall be discussed and presented (Heuberger, Barbara – 2004). It is the primary mission of the business to create a workable environment that is basically able to support the needs of the people who are basically expecting support, assistance and services from them. Monetary capital is considered to be among the most important assets of the company. For SERVIZO, monetary asset serves as one among the basic foundations of business. Being formed through a partnership agreement, the money invested by both partners to establish the said operating business makes definitely needs to be returned back equally for the benefit of the partners involved in the said business agreement. For this reason, managing this asset effectively needs to be given proper attention by both partners. In managing the financial assets of the partners involved in the business in concern, the need to hire a third party is necessary. The said third party should not in any way be related to any of the partners involved (Heuberger, Barbara – 2004). Through this approach, the persons involved in the business and the accountability of the expenses as well as the incoming profit in their business shall be well managed without any particular biases that could at some point create issues in the relationship that the business partners have towards each other. The accounting of every financial asset owned by both parties should be well accounted for. To do this, a quarterly accounting is suggested. This shall allow the partners see where their monetary investments have already gone and how much they have already accumulated as profit within three months. Having this monetary accounting process imposed, it is expected that the capital and profit balancing could be better handled and specifically mandated towards stability. This shall provide the partners an understanding and a well accountable figure of profit and loss where they could base their business visions upon for a better catering service venture in the coming years of their business partnership. To make employee scheduling and client service more efficient, the application of modern technology into the process is strongly pushed forward. Through the use of computerized record keeping, it is expected and pre-empted that the system of scheduling used by the company towards making a more decisive and well inquisitive way of scheduling everything and everyone for a certain task that needs to be completed for the day (Heuberger, Barbara – 2004). Through this process too, the route way of the catering service delivery could even be established through creating a system that could be connected online for traffic update or some sort of a direction-enhanced guide system that could point out which particular roads are easily passable for the catering service van or truck to pass through to be able to reach the venue of the occasion in no time, giving the administrators a proper way to prepare for the occasion to be celebrated way ahead of time. 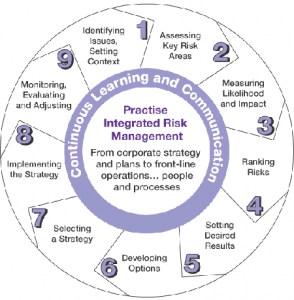 CRM is basically known as the customer relations management. This process is more likely customer-centered approach which dictates the need on the part of the administrators to keep a good record about their clients, their feedback about the service, the events that happened during the service and other recommendations or suggestions that they may somehow have in connection with the kind of service that they want to receive later on when they place a repeat order. The main aim for this particular process is to retain old customers and make them return for the service given to them through improvement of service. Noting all these matters would give the administrators a good chance to see what needs to be improved still and what should be given practical focus when they provide service to that client again (Stuart – 1997). This process could also be applied through online connections that are better expected to benefit the administrators of the business as they establish an online niche for their business to advertise the services that they offer and further be able to get clients who are readily available to appreciate whatever service they may have to offer. 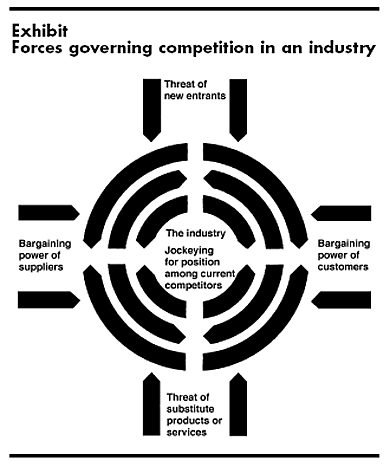 From this diagram, it could be observed how the business should be able to handle the challenge of dealing with the four powers of pressure that comes from the new entrants, the suppliers, the customers and other substitute products or services, that are practically subjecting business institutions into a heightened competition no matter what particular kind of market structure they are enjoined in. Through recognizing these four powers and closely mandating how the business is able to handle the said challenges, SERVIZO would surely gain a business leadership assurance that no matter how tough the competition becomes, their business would remain to be at the top of the game at all times. 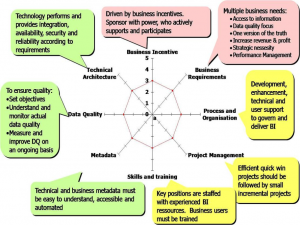 This diagram intends to show the different aspects of growth that the business itself could take into consideration as it intend to handle the needs of the clients, the employees and the other stakeholders that somehow take part in the success of the organization’s capability to successfully function in the industry that it is enjoined with. 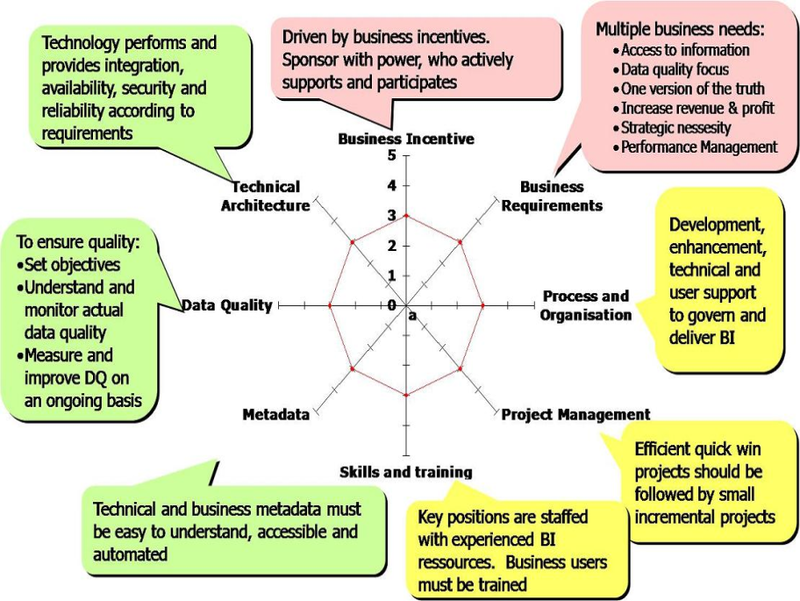 Through the presentation above, the different elements of success that could contribute to the growth of the organization as one unified group of people working towards the common good of everyone could be better foreseen as the process itself makes a great impact on the level of progress that the business is currently making in the industry (Banks, James A (2005). Another way is through analyzing the results of the previous activities of the group and the individual performance of its member resulting to their collective outcome to determining the efficiency of the management of the groups and the tea participation of its members. Through this approach, evaluators can actually determine whether the different individuals in the group are indeed working with each other in the concept of teamwork and whether the group itself is functioning as one in their collective pursuit of their goals. Since this approach is based on previous facts, data from an actual test specifically created for the said group is not incorporated in this method however, the basis of the method is still from actual activity performance even though previously and randomly implemented (Banks, James A (2005). Even though different approach is taken in analyzing the group’s teamwork effectiveness, the results are still significantly important for the development of each of the members and their collective organization. Determining the effectiveness of their teamwork culture will indeed boosts up the morale and spirit of the group members and will pave way for rooms for improvements and further development. 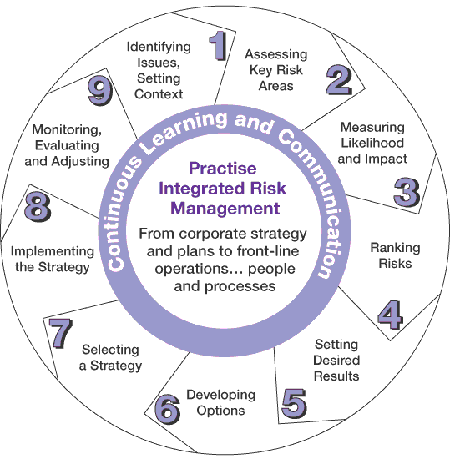 From the diagram presented herein, it could be noticed that applying a corporate-based risk management strategy into a partnership business could be much helpful especially on the part of making a good implication on the process by which the business itself makes a remarkable stand in the middle of business challenges. The basic necessity in instilling the culture of awareness and enthusiasm among every member of the organization is seen to be one of SERVIZO’ key factors towards success in the business that it aims to be enjoined with. Banks, James A (2005). Cultural Diversity and Education: Foundations, Curriculum, and Teaching. Ally & Bacon Publishing Company. 5th Edition. Heuberger, Barbara (2004). Cultural Diversity: Building Skills for Awareness, Understanding and Application. Kendall/Hunt Publishing Company. 3rd Edition. Kelley, Lydia & Nordensson, Stew & Gellman, Stuart (1997). Teamwork. Top Dog Publishing Company, Arizona.